Em Stafrace| Just a Girl with Ideas: WOWAH IM BACK! Its almost a week since my little business The Nifty Pixel opened its doors over at Scrap Stacks! Its been a long time coming but finally its kicked off and things have gone great so far (touch wood) lol. I have been busy and on the biggest learning curve, designing and packaging, planning my releases and coordinating my fab team of digital and hybrid scrappers which has been tonnes of fun, albeit pulling long hours but hey thats what you do at start up don't you??? Or am I seriously lacking organisational skills, I know my filing abilities are shocking spent most of yesterday sorting out my folders on 3 different External HD's flippen cray cray! 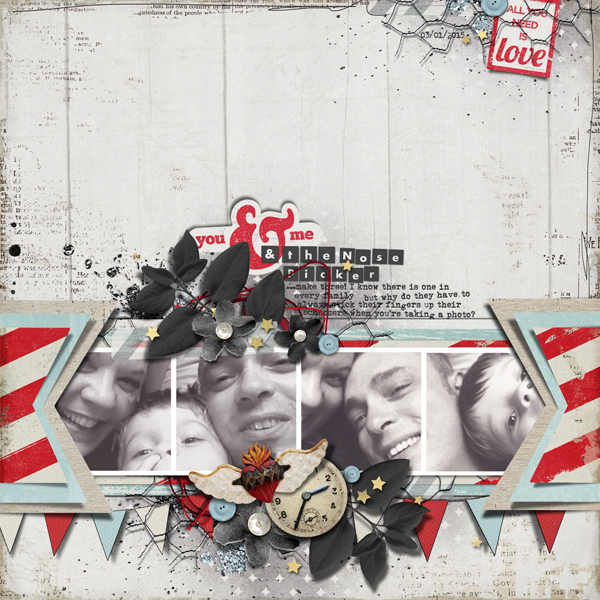 As a scrapper I love paper collections and digital kits that are really versatile. I seem to gravitate toward ones that are fairly non specific in theme. I reckon thats because it enables you to really go to town with your own theme. I do love a touch of modern mixed with vintage and will be going this way with most of my kits so as to get the extra mileage out of a kit. 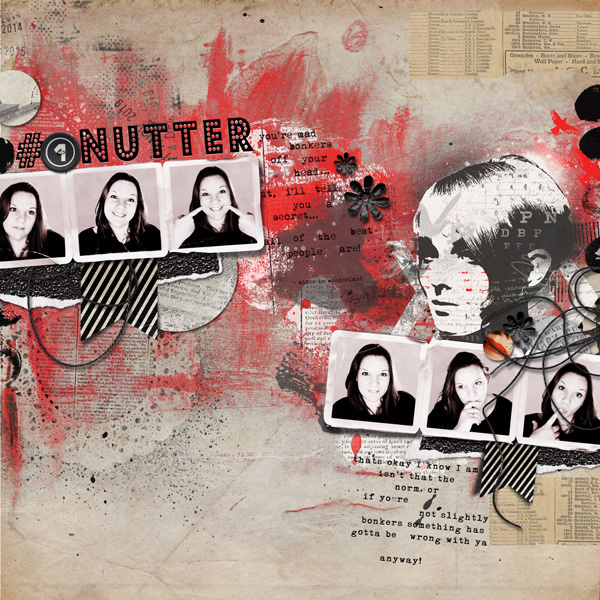 Look at these two pages...they are a great example of how different they look yet both use the same digital kit!! 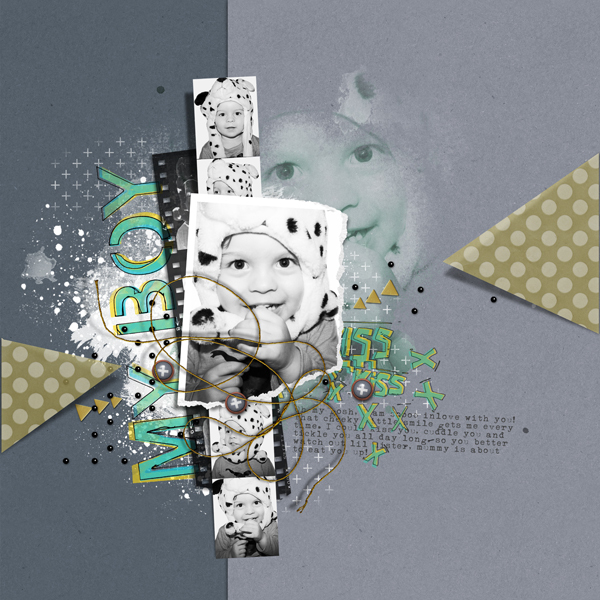 You can create an elegant feminine page or mix it up a bit with some cool screenprint style alpha like my Pencilled In Alpha Pack to create a funky boy page. See what I mean? 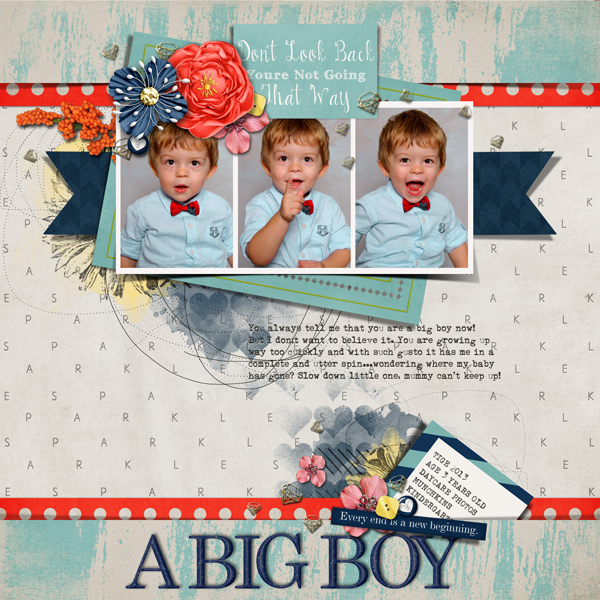 THE NIFTY PIXEL| Dreams Come True Digital Kit, Dreams Come True Alpha, Dreams Come True Journal Cards, Collage Textures V.1, Gold Threads V.1 & The Nifty Gals Extravaganza V.1 Page Drafts freebie pack. These next few pages are all CT work, I have been meaning to share these here for ages arghhh! THE NIFTY PIXEL| The Nifty Gals Extravaganza V.1 Page Drafts freebie pack & Great Things Ahead Collaboration by The Scrap Stacks Team. These look amazing Em! Well done on your new venture too! All such amazing creations Em!! Congratulations on the starting of your new venture... it all sounds so exciting!